I’ve always been drawn to this Psalm, but today, as I spoke the words aloud, tears began to well up in my eyes. A sense of amazement – at how loving, compassionate, and gracious my Lord is – overtook me. I was crying tears of joy at how wonderfully merciful our God is! I am so appreciative of friends who challenge me to memorize longer passages of Scripture, who are great role models in persistence as they set to the hard task themselves, and who walk alongside me and keep me accountable. I’m also thankful for the sweet little ones in our own home who, likewise, are excellent examples for me as they are diligent to learn the Word through AWANA each week – and who show interest, patience, and excitement as they listen to me practice and recite aloud to them! 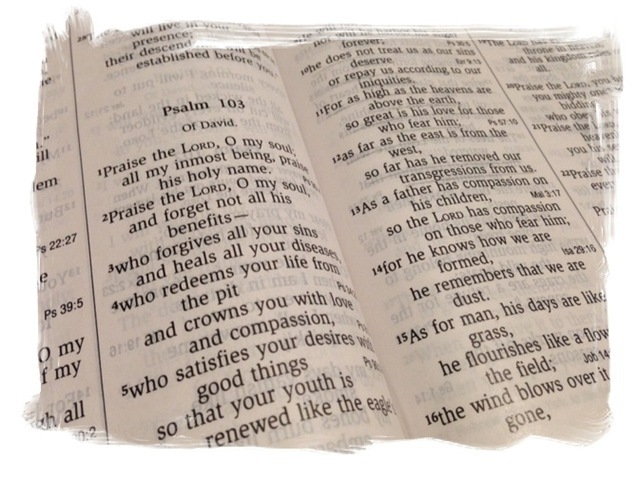 As a family, we’ve memorized a few passages of varying lengths at different times over the years and it has always been such a blessing. 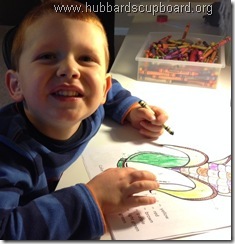 We need to continue to do the hard, but joyous task of memorizing His Word. As we memorize, it is inevitable that we begin to let the words (God’s Holy Word) wash over us. As we meditate and reflect on the meaning of what we are memorizing, it makes God’s Word come alive and we gain a deeper understanding. 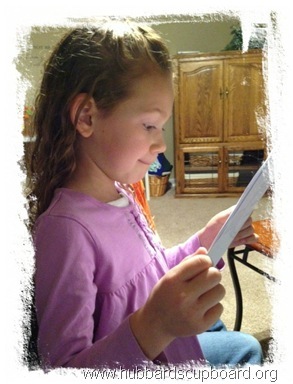 As we work on memorizing sections, it fills our hearts and minds with His Word. God’s Word renews and transforms our minds. Memorizing and meditating on God’s Word causes us to well up with springs of overflowing thankfulness, praise, and gratitude to our great God! Time spent in God’s Word, striving to memorize and hide His Word in our hearts, is never wasted. Memorizing and meditating is a rich endeavor that only results in GOOD. 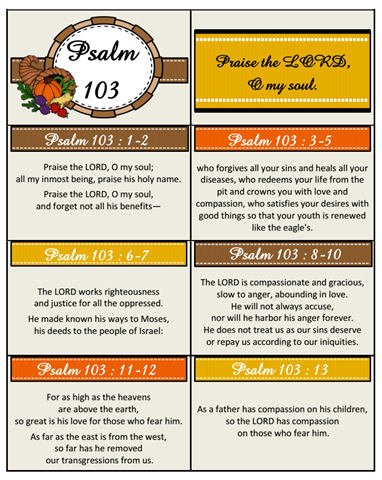 Would you like to join me in memorizing and meditating on Psalm 103? 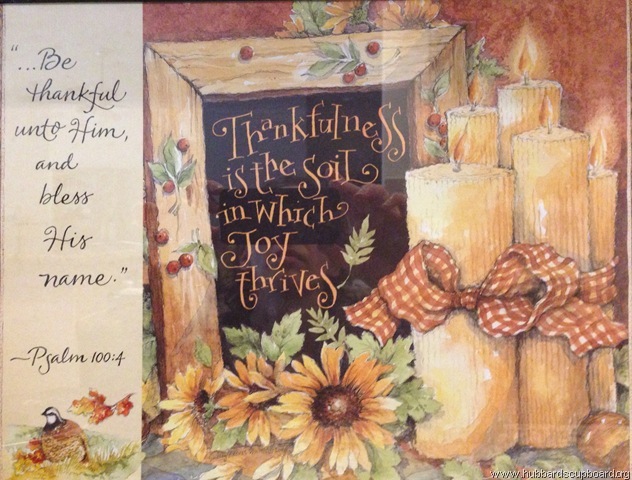 It is an excellent passage to cultivate a heart of gratitude to our merciful Savior as we come upon the holidays! 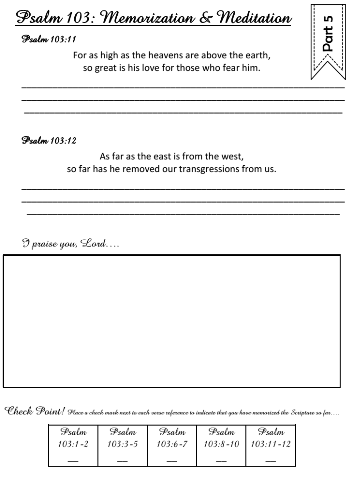 Below is a link to a free printable booklet with cut apart Scripture cards (to take with you), a full passage sheet to post (maybe near your kitchen sink, shower, or mirror), and a few pages of spaces to handwrite the verses, write prayers of thanks, and place checkmarks as you memorize each verse. May you be blessed in whatever Scripture passage you choose to undertake! 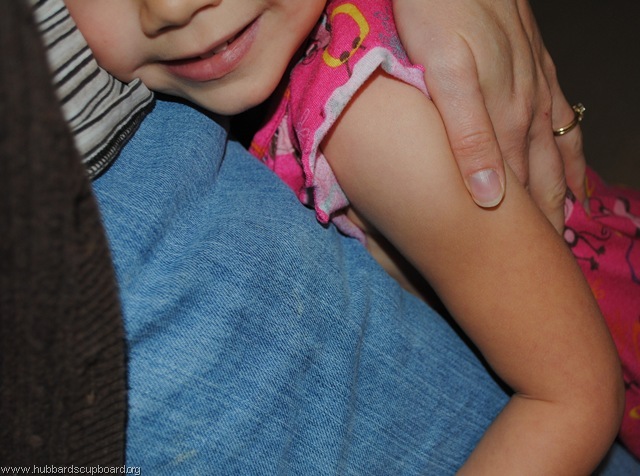 Looking for some simple ways to encourage thankfulness? Need a few extra printables to keep your sweet children occupied on a long trip to Grandma’s this Thanksgiving? 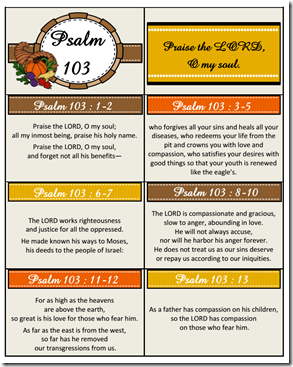 Verses of Praise – Look up Scripture references related to thanksgiving and praise! Highlight each verse. Choose one to memorize. 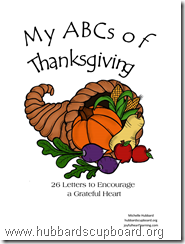 My ABCs of Thanksgiving Booklet – Draw and write A-Z about 26 things that you are thankful for! 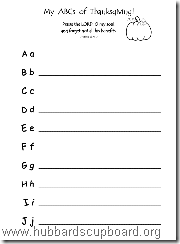 Line By Line ABCs – For each letter of the alphabet, make a list of things that for which you are thankful! 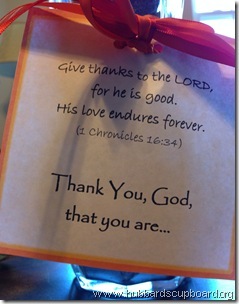 26 Ways to Say Thank You – Brainstorm ways to say thank you to someone or to God (one for each letter of the alphabet). Choose one or two to actually do to show someone your appreciation. 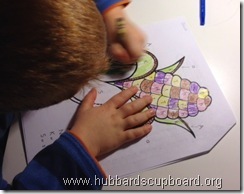 Color By Letter (t,h,a,n,k,s) – Designed with your younger kids in mind, children use a key to color a picture. 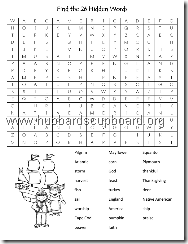 A-Z Letter Maze – Start at A and end at Z to make a path for the Native Americans to reach the Pilgrims! (also designed to be used with younger children). 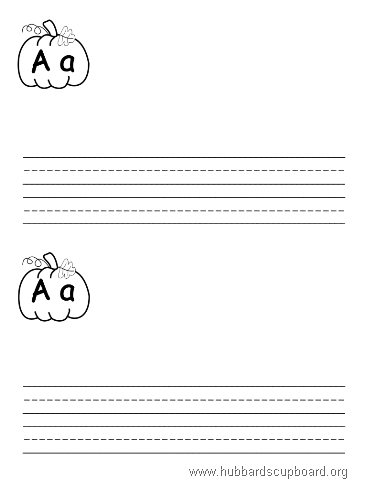 ABC Order– Write 26 Thanksgiving themed words in alphabetical order. My ABCs of Thanksgiving: 26 Letters to Encourage a Grateful Heart is available for just $1 at our Joyful Heart Learning shop at Teachers Pay Teachers! 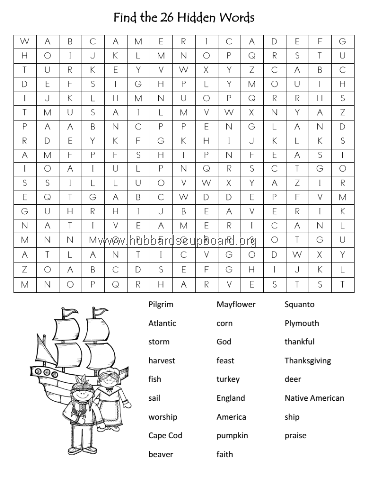 And don’t forget to check out the other FREE Thanksgiving resources at Hubbard’s Cupboard as well as the free booklet ‘The Pilgrim Story’ available at the Joyful Heart Learning Teachers Pay Teachers Store! For the LORD is good and his love endures forever. Thanksgiving is, by definition, a time to give thanks. 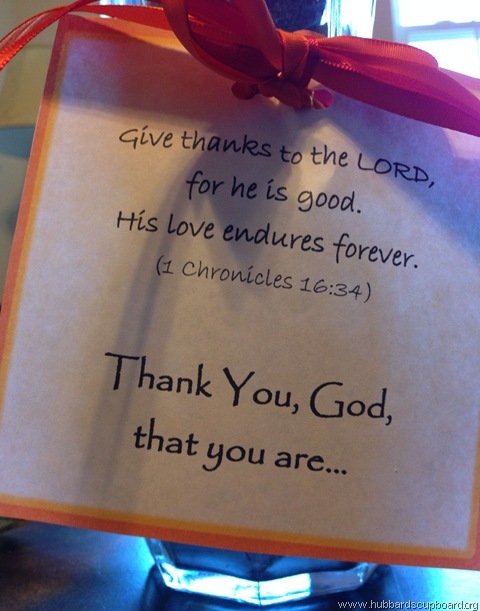 When we give thanks, there has to be an object of our thanks. We can say that we are thankful for our loving family, food on our table each day, machines to assist in shortening the process of washing our laundry, clean water to drink, nature to enjoy, etc., but do we ever pause to ponder and reflect upon the One who has graciously provided all things? Who is it that we praise and give thanks to? 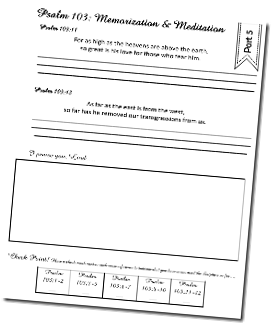 After leaving a Celebrate the Truth workshop recently, the question of WHO is the object of our praise stuck with me. This Thanksgiving, I desire to intentionally focus mine and our children’s hearts and gratitude of thanks upon the One True God. Who is He? What is He like? How can we know Him? 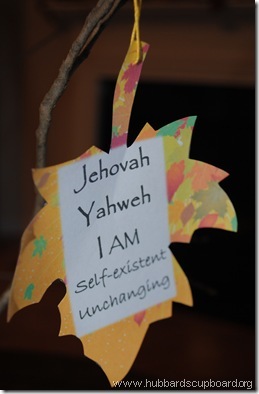 God reveals His character, who He is, through His name/titles. 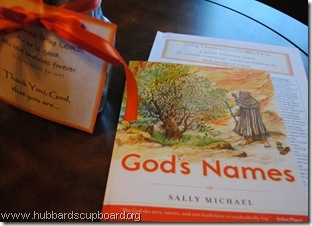 I’ve had the book God’s Names by Sally Michael from Children Desiring God for a year now, but had not read it with the kids. I pulled it off the shelf, began to skim through it, and realized it would be a perfect starting point for our Thanksgiving study. After including additional Scripture references, scouring our worship music for songs related to His name (Oh, how good that was for my soul! 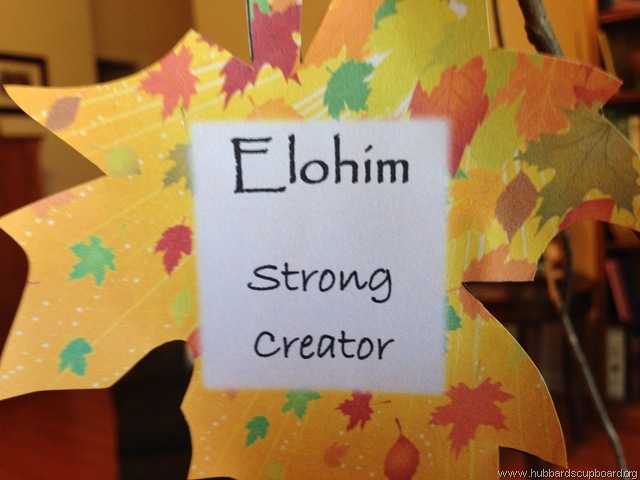 ), and creating colorful fall leaves with His names/titles, I think we are ready to center our praise and thanksgiving on our Great God through meditation on His Word, prayer, and song! The ‘Thank Him Tree’ list and printables were created to be used in conjunction with Sally Michael’s God’s Names, a Bible, a natural and simply made ‘Thanksgiving Tree,’ and an optional praise song list. Print out the verse card and the leaves, laminate (if you desire), and cut. 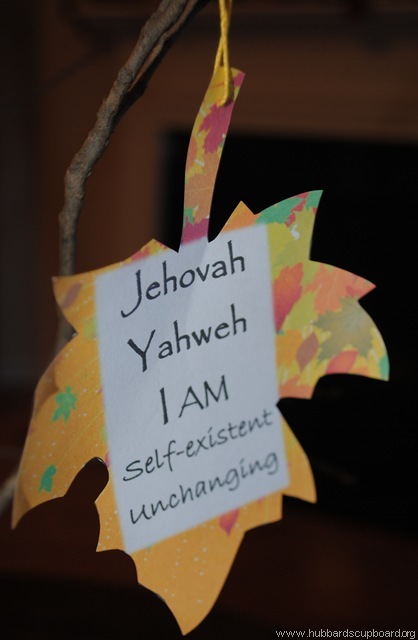 Then, as you read and study the names and character traits of God, attach the corresponding leaf to your tree and thank God for who He is and what He has done! 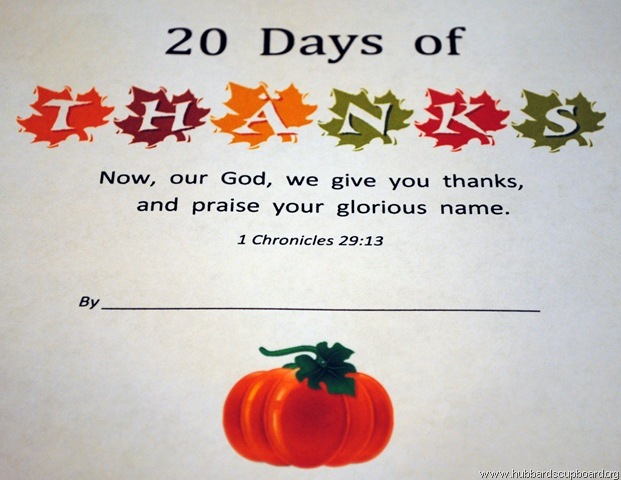 Today is day 1 of our family’s 20 Days of Thanks! 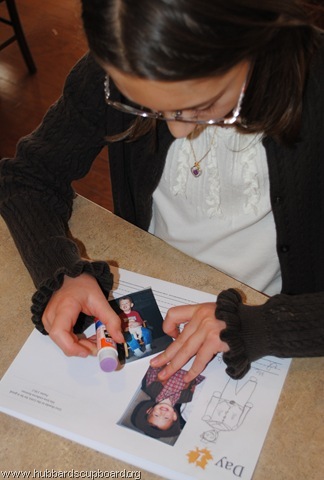 The kids all seemed to choose to say thank you to God for different family members! 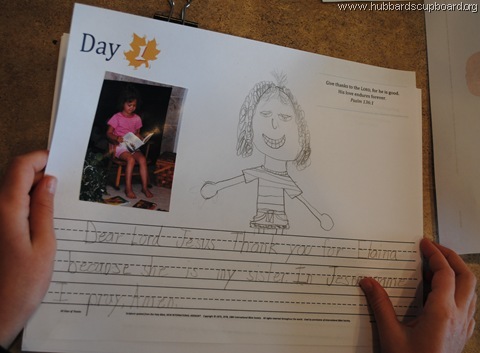 Why not ask your children to share what they are thankful for! Praise the LORD. How good it is to sing praises to our God. 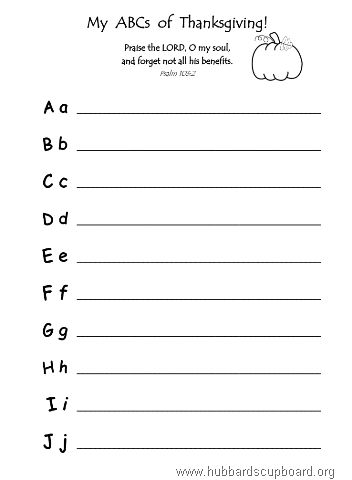 Go ahead and print your own FREE 20 Days of Thanks booklet from Hubbard’s Cupboard or print one from This Reading Mama which has kids think of things they are thankful for related to each letter of the alphabet. 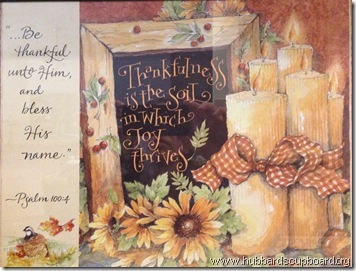 Both are simple ways to intentionally build hearts of thankfulness! Leading up to Thanksgiving this year, I desire for our children to get a small taste of the 1,000 gifts challenge by drawing, writing, and maybe even taking some photos of things they are thankful for in their own lives. I created a booklet for our kids to record their words and drawings of gratitude – simply called ‘20 Days of Thanks’. Each day has a short verse of Scripture to meditate on, a space for drawing, and a space for writing. 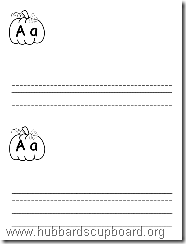 Due to the various ages and fine motor abilities of our children, I made several versions – unlined for our toddler, single lined for our PreK child, regular dotted lines for our first grader, and some smaller lines for our third and fifth grader who will be using cursive. ‘20 Days of Thanks’ booklets – FREE to print for your own family! 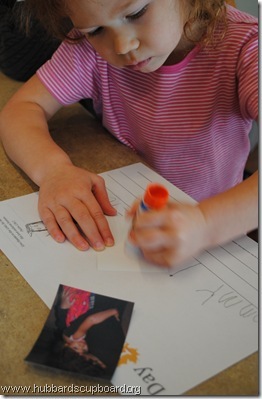 Also, come see how we used these printables on the first day of our 20 Days of Thanks.